The Cellarer’s Garden is at the east end of the St Augustine’s site. In the early seventeenth century, there were gardens at St Augustine’s designed by John Tradescant, later a royal gardener and founder of Tradescant’s Ark. His son, another John Tradescant, was a King’s Scholar who also became a gardener and collector. A new Tradescant Garden has been created as a memorial to former pupil HP ‘Tony’ Wortham. 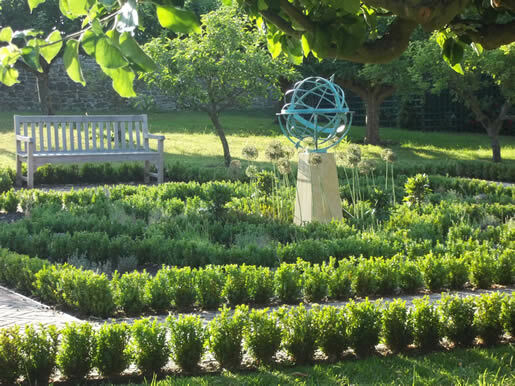 This is in the form of a knot garden, designed and constructed by Iain Bentley and Mark Collins, with Francis Pellett. It was formally opened in July 2011.